The HBT high speed BER tester is a Bit Error Rate tester for evaluating the performance of synchronous modems and other DCEs. HBT high speed BER tester operates at data rates from 32 kbps to 2.048 Mbps, including 1.544 Mbps, and support all n x 56 kbps and n x 64 kbps data rates. 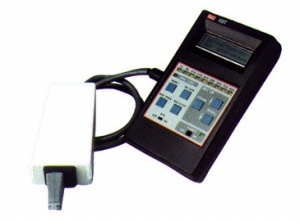 Simple to use, the HBT high speed BER tester performs a loop test, comparing the transmitted and received pattern. A detachable external power supply powers the handheld unit.